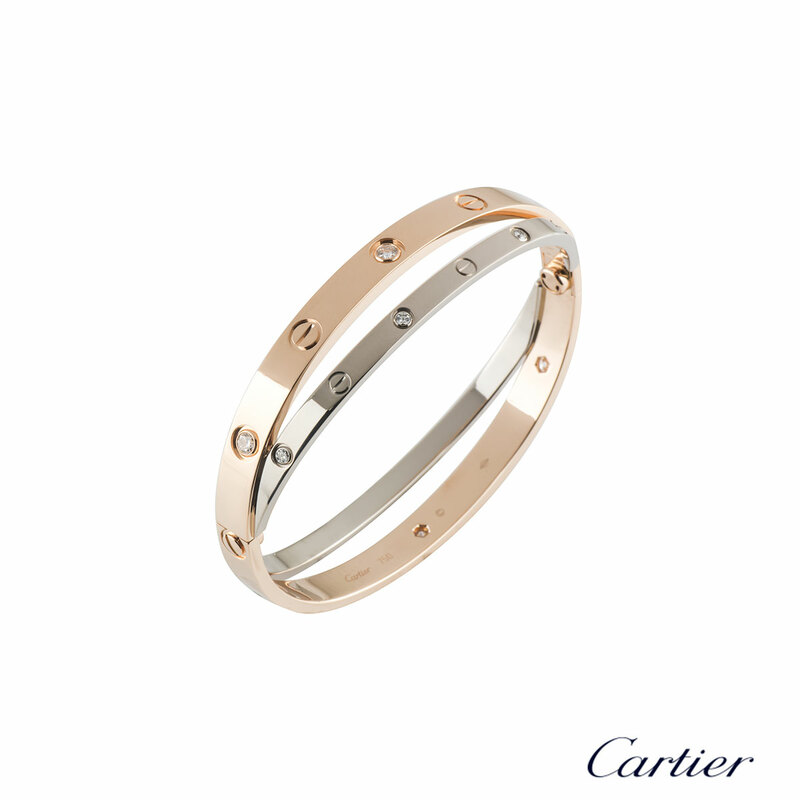 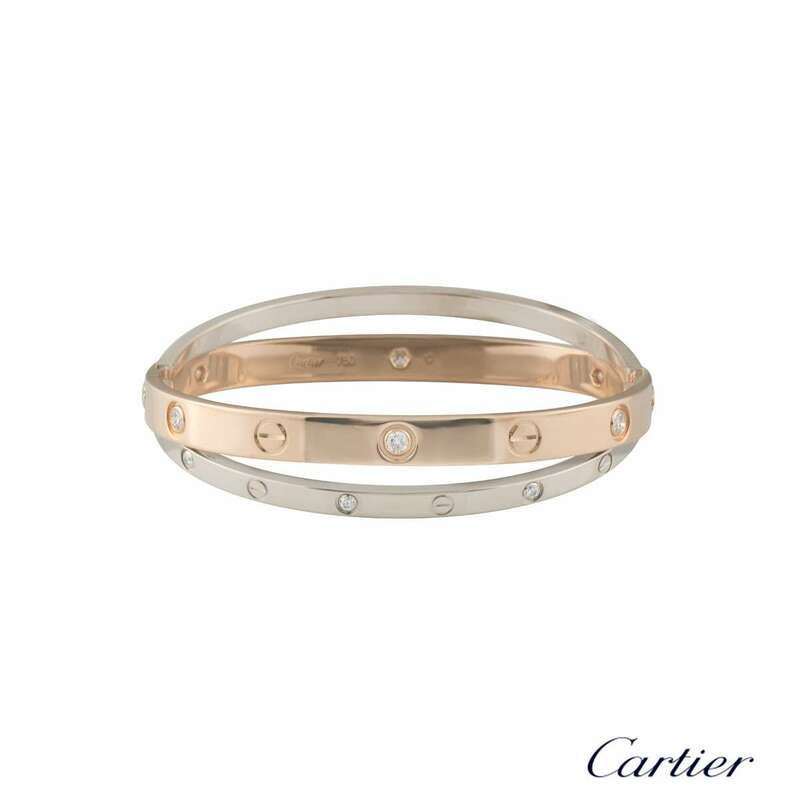 An 18k double rose and white gold diamond bangle by Cartier from the Love collection. 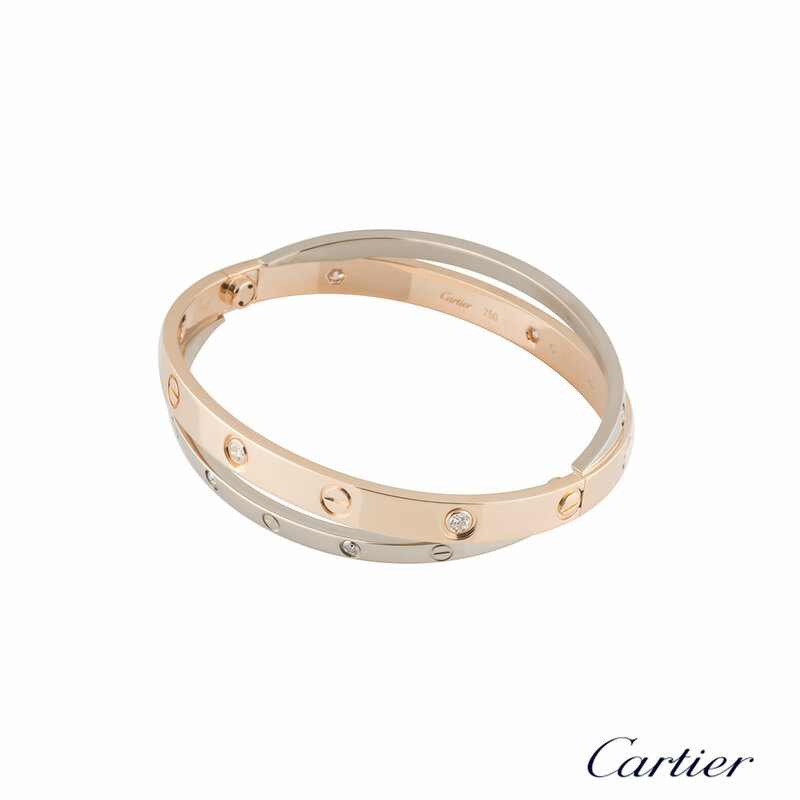 The rose gold bangle is set with 6 round brilliant cut diamonds and alternating screw motifs, interlinking with it is a white gold band on either side also displaying the alternating diamond and screw motifs. 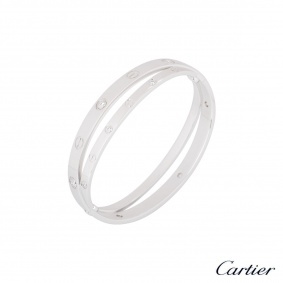 The bangle has a total diamond weight of 0.78ct, G colour and VS clarity. 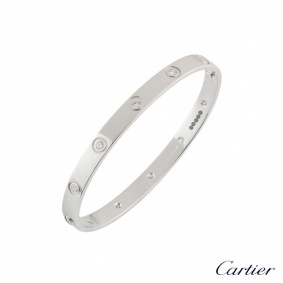 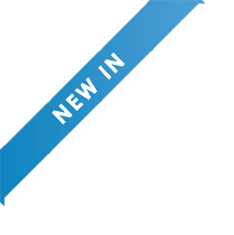 The bangle has new style screw system and is size 17. 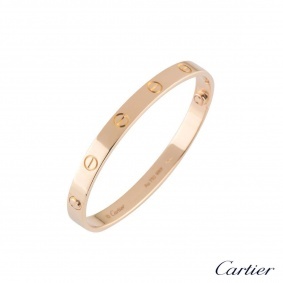 The gross weight of the bangle is 48.30 grams. 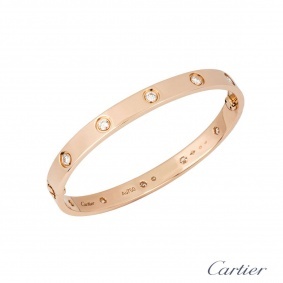 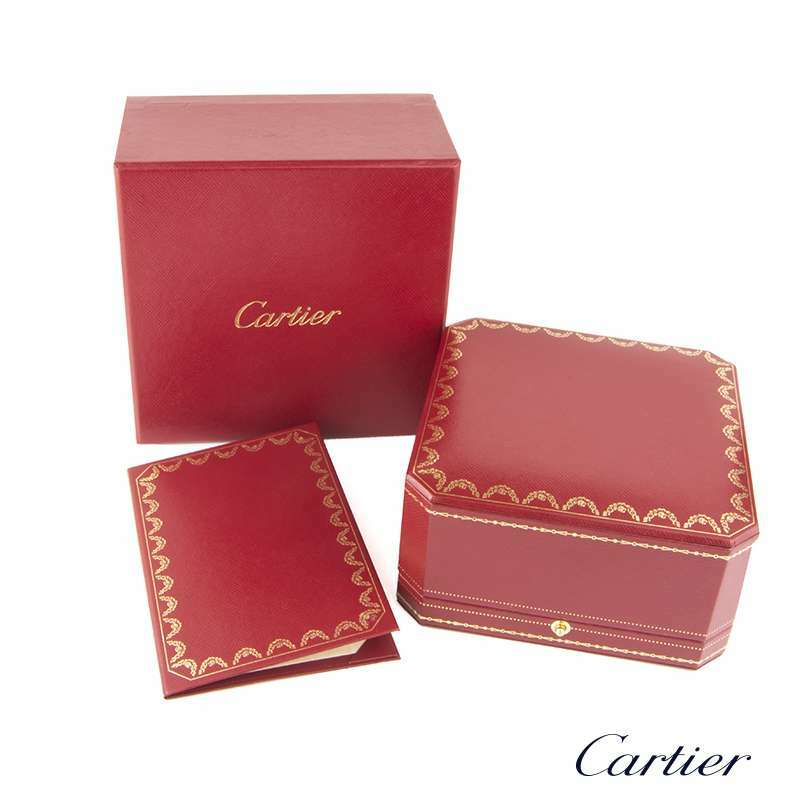 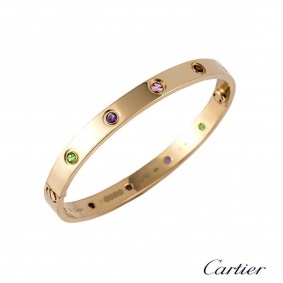 The bangle comes complete with a Cartier presentation box and Cartier papers dated November 2014.